SkyJump Las Vegas: I Survived! 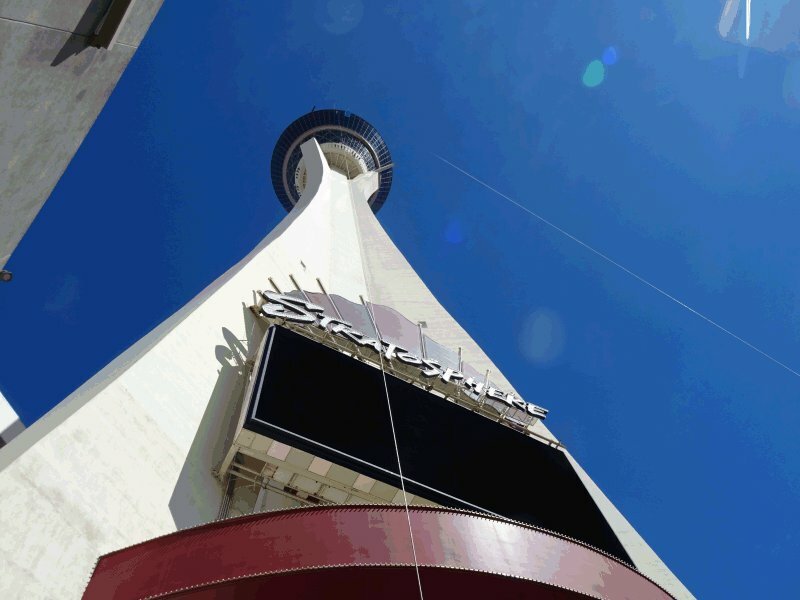 From the RV Park at Circus Circus, I’ve watched folks doing the SkyJump Las Vegas, an 829-foot drop from the Stratosphere Tower since it opened in 2010. I knew that I had to do that jump someday. Well March 19th, 2018 was my day to do the SkyJump Las Vegas. I’ll admit that the whole experience still seems a tad surreal. I checked in, got suited up and weighed in the SkyJump store and was whisked up to the jumping platform in the elevator. There they did one more weigh-in and 2 more safety checks. It seemed like only a couple of seconds later they had me out on the platform and were saying “3 – 2 – 1 – GO!” and I stepped off the platform. Honestly, the first split second of the jump seemed slow and controlled. Then suddenly it felt like something gave way and I felt like I was in free fall. That part was fun. The landing zone, even from halfway up looks like a teeny weeny little dot. Another second and I was back on the ground. Here’s the video. You can watch it on YouTube if you prefer. Here’s another thing you can do to have fun in Las Vegas. Holy Moly Rosalind! You are brave and amazingly cool! That is something I may not ever do, but at least was able to watch you in action! Wow! So NOT brave, Thomas. I trusted those tethers. LOL.